Panettone Flowers And Skull Charm Guitar Pick Earrings! 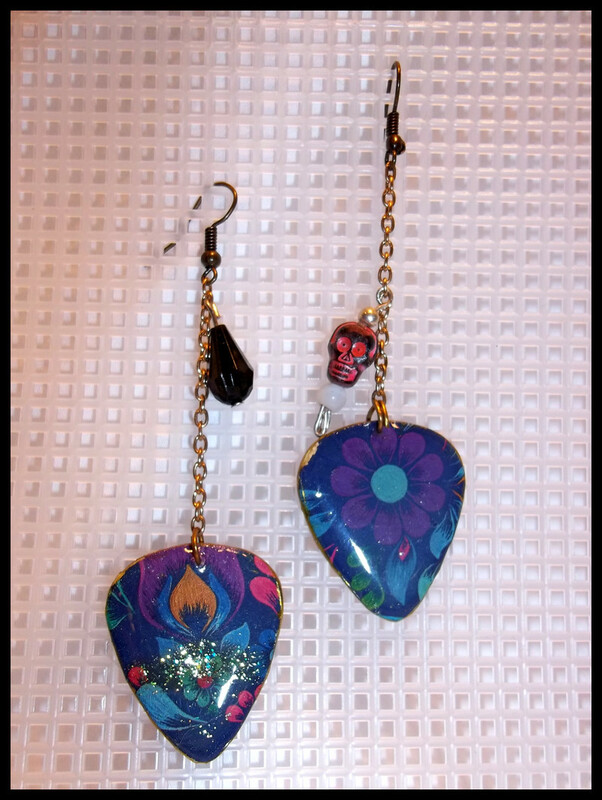 Dangle style earrings with guitar pick pendants made from a Panettone bread box. One earrings has a hot pink skull charm, the other a black gem. Not only do I love this fruit cake, I love the beautiful boxes they come in. With these two pairs I methodically cut up the bread box and punched picks out of them. These designs showcase gorgeous floral patterns in blue, purple and green.